I will first explain the different factors that affect how warm and how heavy a down jacket is. 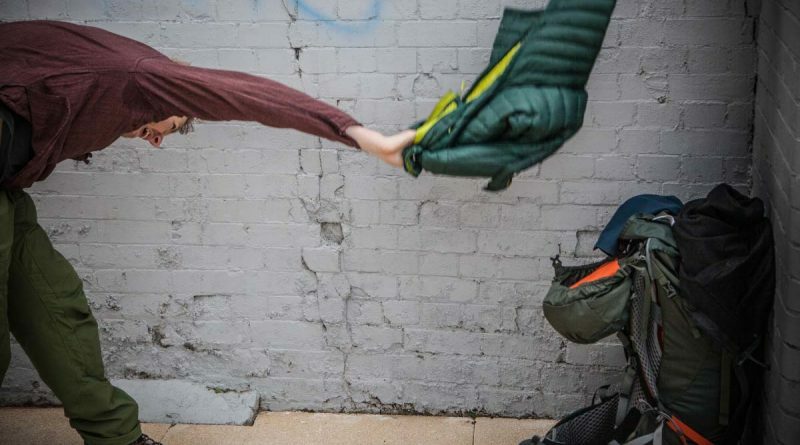 There are three major factors to be concerned with when you are choosing a down jacket. All factors are equally important and its only in the culmination of these three points that a good down jacket is born. Fill Power – in very simple terms how much air the down can hold. Higher numbers mean the layer is warmer for the weight. This is the most common piece of knowledge brands are aware customers know about and so its completely open to misinterpretation and exploitation from marketing. It is indeed true that a higher number is a more quality fill but please understand its not the end of the story. So in other terms don’t just simply look for high fill power. Fill weight – how much down is actually in the item with more down equaling more warmth but with more weight. Construction – how the down is distributed and held throughout the jacket. Examples of down construction are stitch through and box wall. The later being the warmer but slightly bulkier option which you normally find on large outer layer down jackets and not on mid layers. Stitch through gives the user greater freedom of movement than box wall. Box wall allows the down to fully loft within it’s own chamber allowing for the elimination of cold spots which can occur on thin mid layers. I will also quickly touch on goose vs duck down. Goose down is generally considered better as its cluster size is larger than duck as a goose is a bigger bird than a duck! Goose down is the premium product but there is still high grade duck down out there which should not be overlooked. This is an awful jacket you are better spending your money elsewhere. The Microlight Alpine has 143g of 750 fill power goose down (size L) in a stitch through design. The stitch through design helps create a comfortable fit that has great freedom of movement which is ideal for a mid layer as it’s a layer with an intended semi active and active end use in mind. However this is where the first problems come into play. If you are active in this layer then you will very quickly overheat as Rab have decided to put fill under the armpits. When was the last time you had cold armpits? It is something that never happens when you are active. Once you sweat into the down it stays damp. The Pertex face fabric that Rab uses on the Rab Microlight Alpine is rather basic and they only use it on their entry level jackets and the performance sadly shows. The rain sadly wetting out the face fabric very quickly in light conditions. The down is coated with a hydrophobic treatment which helps resist saturation but its hard to notice in real world situations and with a substance that has such a high surface area as down clusters I really doubt its effectiveness in combatting waters strong bonding force which will clump the down together in damp conditions. I noticed the down in certain areas clumping readily in damp conditions. Rab do use a slightly lighter interior fabric to allow the down to loft more towards you than outwards to the cold exterior, this is such a clever design choice. There is no fill zoning on the jacket which means there is warm fill all over the jacket. This means the user experiences really warm under arms and this leads to this area becoming damp with sweat. As a mid layer I would expect the user to be relatively active whilst wearing this and so there is a real issue with sweat build up. The hydrophobic down treatment seems to do nothing with this issue. This is what you should do to this jacket. This is such a popular jacket in the UK and for strolling around town, watching football matches (with a hard shell on top incase of rain) and for general use it would be ok. This is me trying to be as fair as possible. However for a dedicated mid layer that you can be active in during very cold environments and not overheat and also for when you are static looking for some warmth on the mountain, woodlands or on the water then please look elsewhere! I would recommend a synthetic down jacket instead such as the Arcteryx Atom LT. Read our full review of that layer HERE. I will continue to use the Rab Microlight Alpine around town. However I do not even consider it for backcountry use and it stays in the kit store at home. 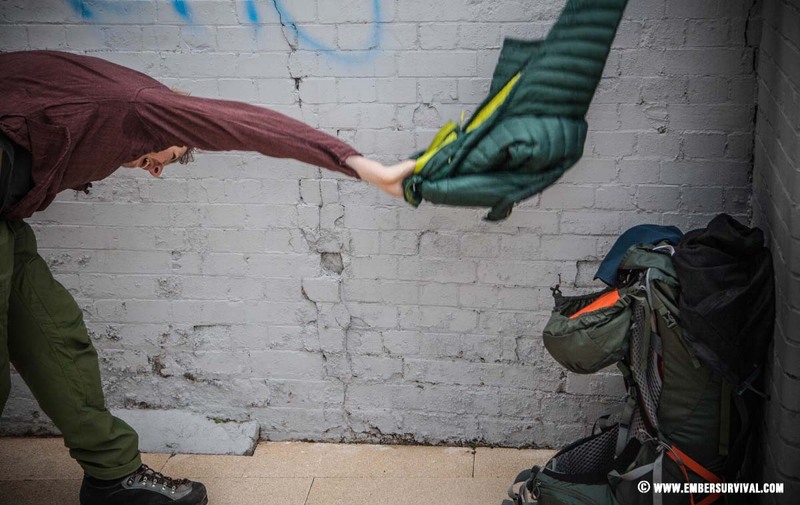 This review seems very critical of Rab but they actually make some of the best outer layer down jackets available along with sleeping bags and mountain equipment it’s just sad that they have not thought a little harder on the Microlight.